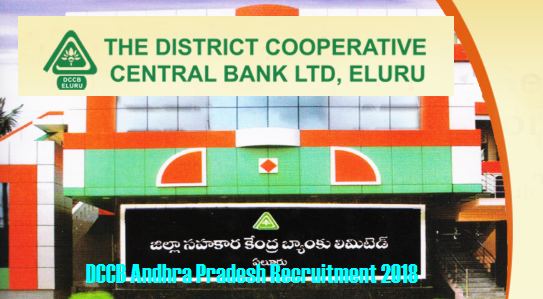 Description : District Cooperative Central Bank(Eluru, AP) has given the Notification for Staff Assistant/Clerk Posts. Eligible candidates can apply in the prescribed format which is given by DCCB on or before 18 May 2018. Log on to DCCB Bank careers page at the official website www.elurudccb.com. Check the Details before Submitting.Take a print out of DCCB Bank Recruitment 2018 online application form. Selection Process: Selection will be made by Online Exam and Interview. Candidates selected for current vacancies shall be taken into the service in the order of merit-cumroster as per the requirement. The candidate, upon selection, has to execute a Contract Bond with a liability for the amount (as decided by the Board of Management of the Bank), that, he/she would serve the Bank continuously for a minimum period of 2 years.